Its six am Tuesday, two days before the launch of my menu for Billy’s Seafood Restaurant. Sleep is impossible. Detail after intricate detail forced me to get up, pour a cup of coffee and go over my lists…again. Billy Grant, the namesake and owner of Billy’s Seafood Restaurant is launching his new menu, Thursday evening, to a sold-out dining room. In complete Billy style, he’s pulling out all the stops to thank his guests for their continued support. I love every step of menu development. The initial discussion with my client allows me to understand the governing principles behind his or her’s business philosophy. The inspiration from that meeting helps me to identify the restaurant’s core values. From there, I begin the process of creating a menu reflective of the client’s spirit. Capturing the essence of a restaurant owner through the food they serve is profoundly exciting. Every plate that leaves the kitchen, delivered to a hungry guest, is an ambassador to that restaurant. My menu and recipes have to inspire the cooks and excite the servers or that opportunity will be lost. Once the owner signs off on my written work, I begin the process of training the kitchen on the new recipes and plate designs. Its during this stage that the real magic happens. 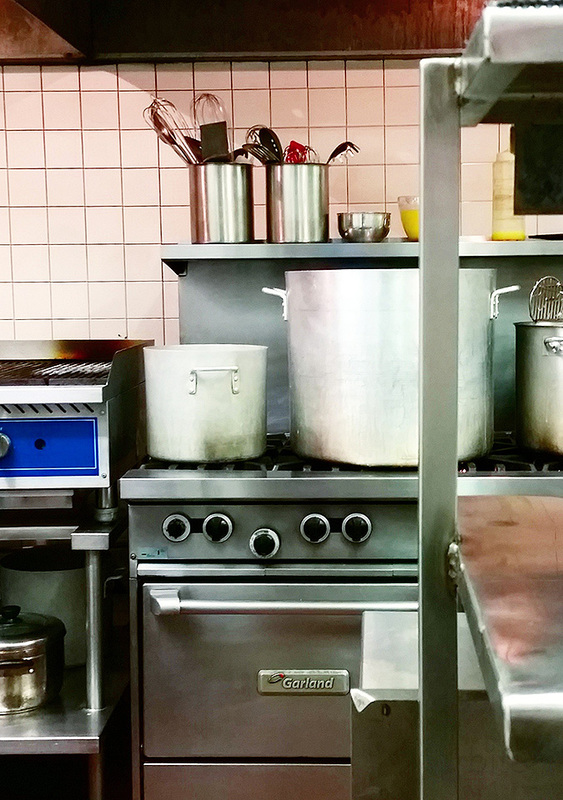 For a menu to be successful, the restaurant’s cooks need to own it. The only way that can happen is if they have a chance to collaborate with me. I present the finished plate but then we discuss the build, if there’s enough ‘pop’, whether it will travel easily to the table and how repeatable it is. When I have the opportunity to work with experienced cooks, I always come away inspired. This past Sunday, Billy’s head chef, Stephen Wade and I began work at seven am. By nine o’clock am, we had stock pots full and simmering and the days work-load mapped out for his team. When the team arrived, we spent the next seven hours working our way through the new menu’s prep list for the evening’s staff-tasting. 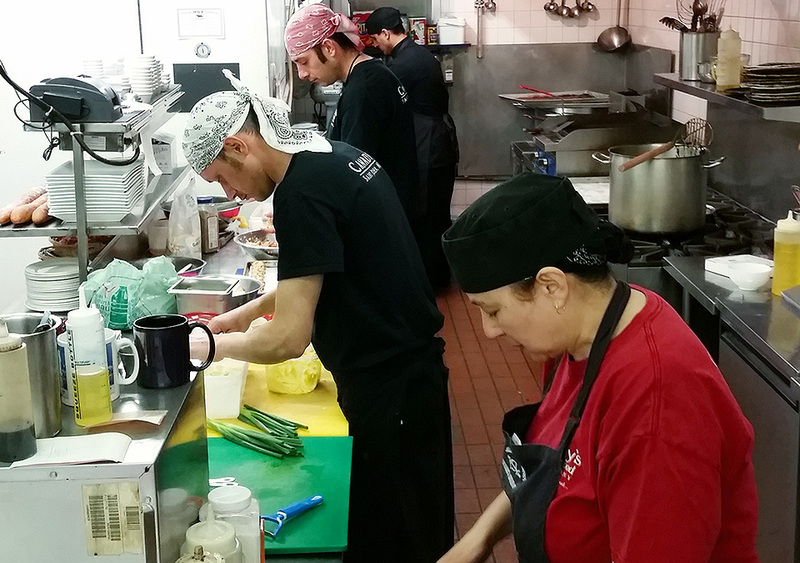 Their focus and enthusiasm delivered a flawless feast for the front-of-house staff. The sounds of delight from the servers as they tested each dish and the look of pride on the cook’s faces as they listened was perfect. Billy hired a photographer to archive each plate but I’m not sharing the finished product until after the launch… At eight pm, after thirteen intense hours, I left the restaurant completely energized and feeling so fortunate to work at what I love doing. Last night, while I was tweaking the seven course launch menu, I needed a cookie. My friends, Wayne and Ross, gave me a box of old recipe books earlier this winter. This is an old-time oatmeal cookie recipe from ‘Cooking Made Easy’ by Anna Lee Scott for Monarch Pastry Flour, 1947 edition. I made a few minor adjustments because I can’t help myself. Cream together shortening and butter until light and fluffy. Add sugar and vanilla and beat well. Dissolve baking soda in the boiling water and stir into sugar mixture. Mix together flour and salt together and gradually add to butter/sugar mixture. Stir in oatmeal and chocolate chips. Form into small balls – I used a small cookie scoop. Place the cookie balls on a parchment-lined baking sheet. Flatten cookies with the tines of a fork. Bake on the bottom rack of your oven for 12 minutes. Allow your cookies to cool on the baking sheet to avoid breakage. Form into small balls - I used a small cookie scoop. This entry was posted in cookies and bars and tagged Billy's Seafood Restaurant, chocolate chips, cookies, menu launch, oatmeal by Michelle. Bookmark the permalink. So nice to see you last evening at Billy’s.. I had the scallops (beyond devine!) and haddock with lobster (like poutine!) Wonderful meal, great menu. And I seriously decided to go to Billy’s because of your post about the new menu! Well done!! So lovely to see you as well. Glad you enjoyed your meal. The chef is wonderful!